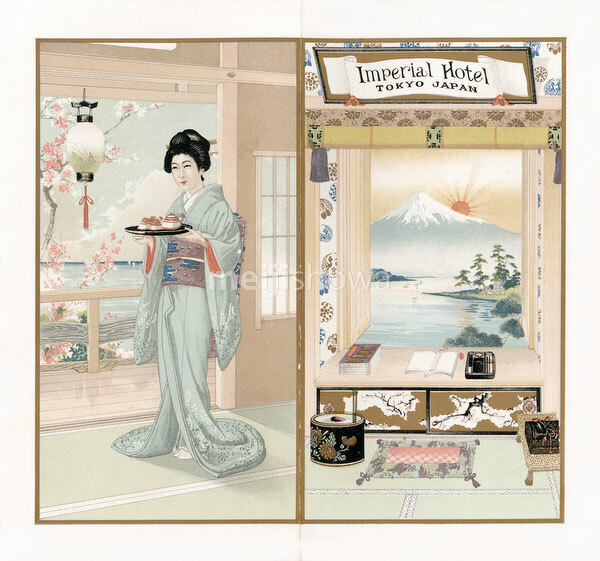 Cover of the dinner menu of the first Teikoku Hotel (Imperial Hotel) in Tokyo for November 18, 1903. The hotel opened on November 20, 1890 and was destroyed by fire on April 16, 1922. The manager of the hotel at this time was Emil Flaig.